[V] HITS brings you one of the world’s biggest bands, 5 Seconds of Summer, in 5SOS Live: Stripped & Intimate. The band will perform an acoustic set exclusively for fans so up close and personal you can catch some sweat if you’re lucky! The boys will be chatting about their new album Sounds Good Feels Good and performing acoustically live on stage. Some 200 fans who entered the [V] HITS competition will get to be a part of this special once in a lifetime event at a secret Sydney location, which will be revealed to them just hours before the performance on Sunday October 4, 2015. If you’re a 5SOS fan and can’t be there, [V] HITS has you covered. Get a first look at what went down during 5SOS Live: Stripped & Intimate with a 30 minute TV special featuring performance and interviews premiering Friday October 9 at 5pm only on Foxtel. 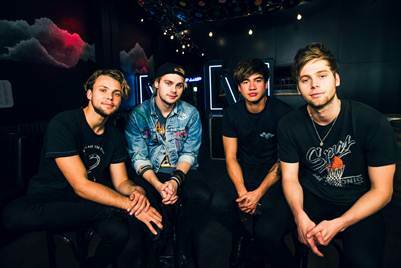 The biggest breakthrough band of the last 18 months, 5 Seconds of Summer, are home in Australia to support their forthcoming studio album, Sounds Good Feels Good set for release on Friday October 23, 2015. Sounds Good Feels Good has already hit Number 1 on iTunes in 55 countries on pre-order and is the follow-up to their self-titled debut album, which sold in excess of three million copies worldwide. With four multi-million selling singles, their self-titled debut album released in 2014 not only topped the US Album Chart (going to #1 globally on iTunes in 76 countries) but also became the third largest pre-order in iTunes history and the biggest US debut by an Australian artist ever. If you want hit music 24/7, [V] HITS is where it’s at. Playing nothing but the biggest hit songs from around the world, [V] HITS is the place to go for all the chart topping tunes in one place. 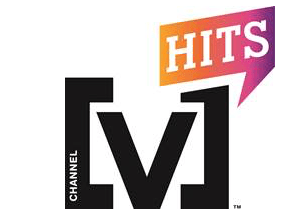 With countdowns featuring everything from Today’s Freshest Hits to The Official Top 40, the party never stops on Australia’s #1 hit music channel – [V] HITS. For shenanigans and highlights from the last time 5SOS came to [V] HITS for 5SOS Live Q and Hey! plus more, go to vmusic.com.au and follow @channelvhits #5SOSSTRIPPED.